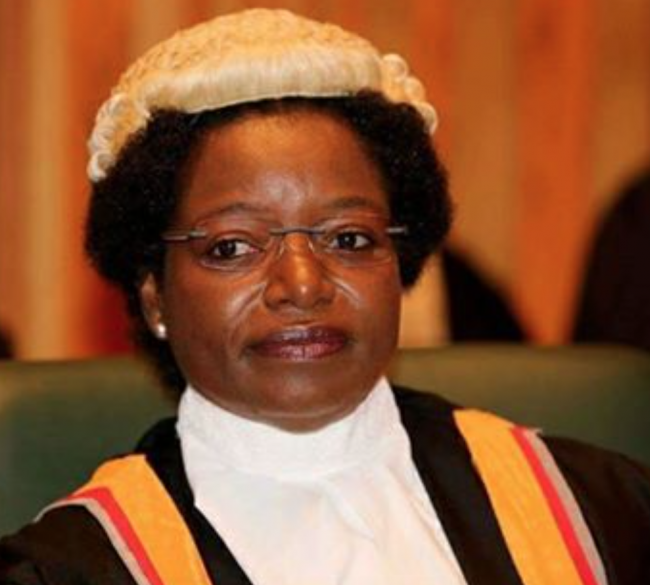 First deputy Speaker of the National Assembly Catherine Namugala says the UPND complied with constitutional provisions in moving an impeachment motion against Edgar Lungu and the Constitution does not give a timeframe when such a motion can be debated. Mazabuka Central UPND member of parliament, backed by other 60 members of parliament, would move an impeachment motion against t Lungu, alleging that the Head of State had abrogated the Constitution on different occasions. The impeachment of Lungu on account of corruption and breaching the law was proposed to come up for debate yesterday afternoon but it was missing on the day’s Order Paper, prompting leader of the opposition in the House Jack Mwiimbu to ask why it was not. Nkombo alerted Namugala that some members of the executive had been issuing statements in the media “to say that this motion will not be accepted by parliament. But in her ruling, Namugala said the impeachment will be tabled in due course as there was no time frame for such a motion to be heard. She noted that Mwiimbu’s point of order was raising “three very important issues”. “1. Whether or not indeed the motion to impeach the President is provided for in the Constitution, 2. Whether or not the process so far has complied with our own rules, the Standing Orders. The third point is the issue of threats. The Honourable member for Monze Central has raised an issue of threats; that there are people out there who are threatening the Honourable member for Mazabuka Central. In my response to that point of order, I wish to respond as follows: First, indeed if there are any people out there and if they are within the precincts of Parliament and threatening any one of the Honourable members here, they must be removed immediately. Honourable members of this House must not be threatened by anyone within the precincts of this Parliament. As I have indicated, if they are there, they must be removed. The second point that I wish to respond to is whether or not impeachment motion is provided for and yes indeed, under Article 108 of our own Constitution, it is provided as follows: ‘a member of parliament supported by at least one third of the members of parliament may move a motion for impeachment of the President alleging that the President has committed the following: a. violation of a provision of this Constitution or other law. b. A crime under international law or c. gross misconduct. I have only read Article 108 sub-Article one and I have read A, B and C,” Namugala ruled. She added that in terms of whether or not the process or the motion that was being proposed had complied with the constitutional provisions, it had done so. “So, it is in compliance with the provisions of our own Constitution. However, this Constitution does not give a timeframe within which an impeachment motion must be tabled on the floor of this House. It does not give a timeframe within which a motion such as this one should be tabled on the floor of this House. Standing Order Number 37 states ‘a member may introduce a private member’s motion at anytime.’ 37(2) states that ‘a member who wishes to introduce a motion, under paragraph one, shall deliver to the clerk’s office a fairly type-written notice signed by the member and the seconder of the motion. The motion must also clearly indicate in the notice the date proposed for introducing the motion in the House. The day proposed for introducing a motion shall not be less than three days ahead and where notice is given on Friday, not less than four days ahead, provided that the Speaker may, by leave of the House, exempt a motion from this provision,” Namugala said. She further noted that a private member’s motion shall be governed by the rules of admissibility. “Now, Honourable members the point of order is to the effect that the Honourable member for Mazabuka Central has complied with all the provisions. Yes, it is true that the constitutional provisions, indeed, have been complied with but the Constitution does not give a timeframe. Number two, the Standing Orders, as provided, do not compel the Speaker to table the motion within three days. Therefore, in response to this point of order the response of the Chair is that there is nothing irregular, there is nothing illegal that has happened or that the Speaker’s office has done to undermine the motion. The point of order, therefore, is inadmissible, Honourable member for Monze Central. I hope, Honourable members of this House this clarifies the issue of the impeachment motion which, indeed as the Honourable member for Monze Central has indicated, has created some tension in the House,” Namugala explained.